The top recruitment and employment branding agencies have recommended RecruitMilitary to their clients for over 17 years. We know and understand the world in which you operate. Our agency partners have head-of-the-line privileges when it comes to RFP responses, product queries, and reporting analytics. See how we can ensure that your team is connecting with ideal candidates. Approximately 1.5 million job seeking military veterans, transitioning service members, National Guardsmen, Reservists, active duty troops, and military spouses cross RecruitMilitary’s radar every 12 months. This includes a diverse group of men and women who have been tested under difficult circumstances, understand team dynamics, possess clearances, and can help your organization meet government compliance standards and benchmarks. A well-developed military outreach strategy calls for unique blends of recruiting and branding components mixed in just the right way to support your organization. Our solutions provide unmatched flexibility in pursuing your mission. Using the freshest and largest single-source military veteran candidate database available, your recruiters will identify job seekers who possess the skillsets and experience relevant to any position. Our staff will teach your team how best to use our database functionalities. This includes our Automated Search Agent, which will send you links to newly created profiles matching the qualities you seek. Experience the greatest impact by engaging in the most personal way. When you attend any of our 100+ veteran job fairs throughout the United States, you can meet face-to-face and find the best of the military-experienced job seeking population. Reaching RecruitMilitary’s social and military influencer communities helps your organization engage with the most active members of our audiences. Thousands of military influencers at hundreds of military installations, National Guard and Reserve units can post your information and get the word out about your employment opportunities through their own networks. Every other month, 50,000+ copies of our print and digital magazine goes out — packed with articles that help transitioning and veteran military and their spouses find jobs. Tell your story to transitioning service members and job fair attendees by advertising in Search & Employ®. Our feature stories and premium insert options spotlight your organization through the eyes of a veteran while highlighting opportunities relevant to former and current service members. 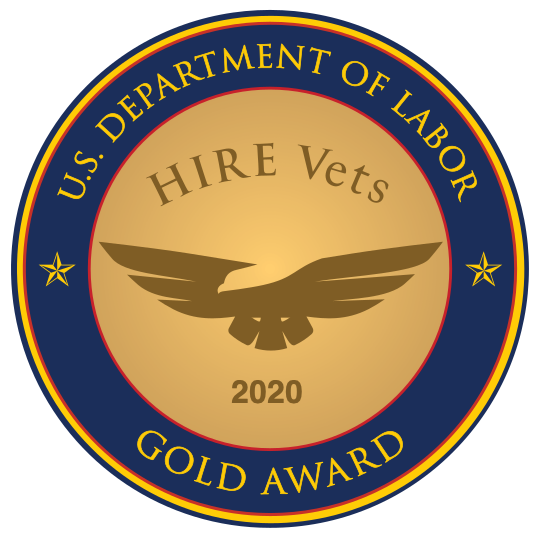 Get the word out about your organization to over 290,000 verified and opted-in veteran candidates via our VetTen digital newsletter. Use our full-service professional recruiting service for those times you don’t have the time or ability to find key personnel.